We are counting down to Easter by sharing a new Easter activity every day over on Instagram (Follow me at @kristinatoddlerapproved). 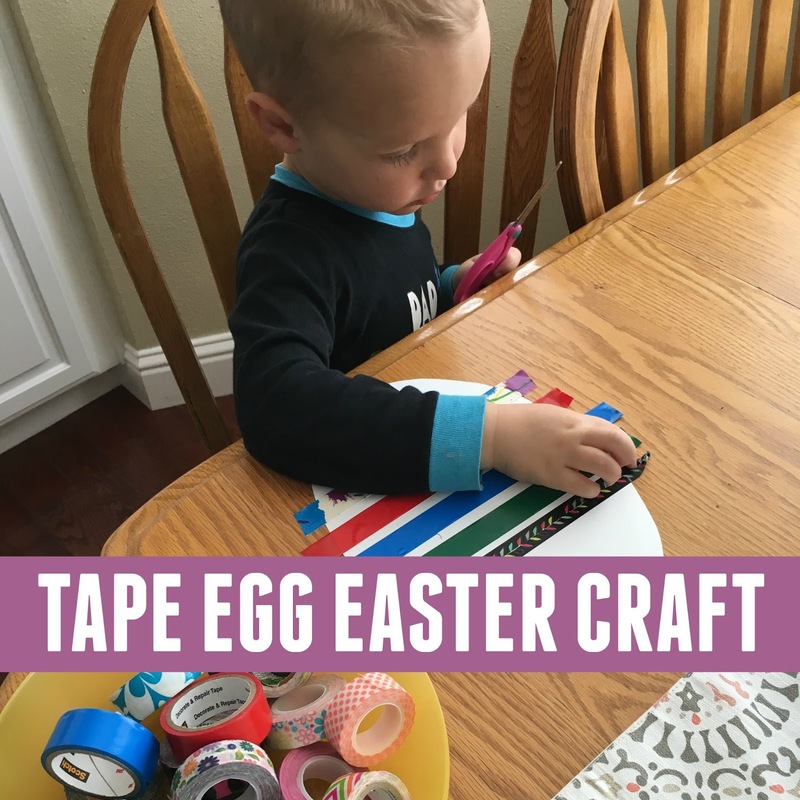 Yesterday we shared this simple tape egg craft! If you haven't tried this before, scroll down for more details. We made tape eggs in the past with our Mommy & Me Book Club so these were fun to try again. My son and I really enjoyed working together on this Easter craft! I pulled the tape out, he showed me where to put it on the egg and pushed it in place. Once the tape was secured to the paper my son snipped the tape to cut it off the roll. For kids that don't cut you can easily just snip a bunch of long pieces of tape and have them put them wherever they want! After we were done adding tape we wrapped each piece around to the back of the cardstock to make a flat edge. 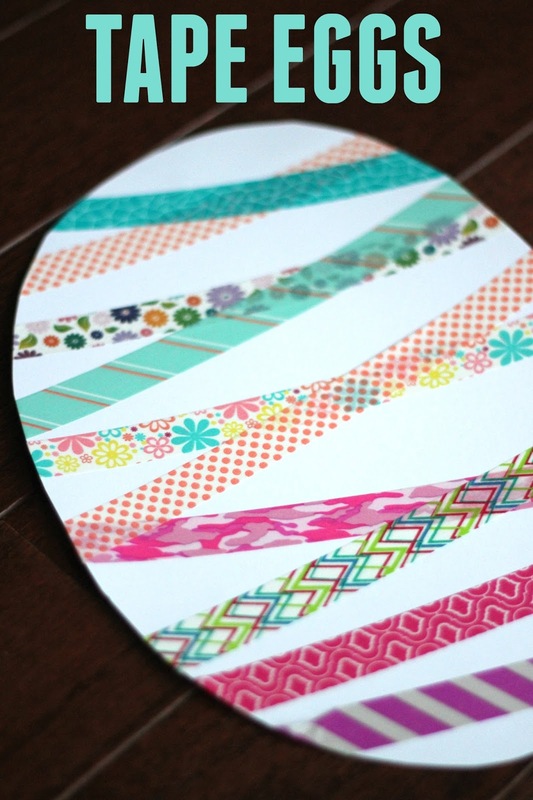 We loved trying this out again and again with a variety of types of tapes! This is a fun way to introduce cutting to your child. Mine LOVED getting a lot of chances to cut. 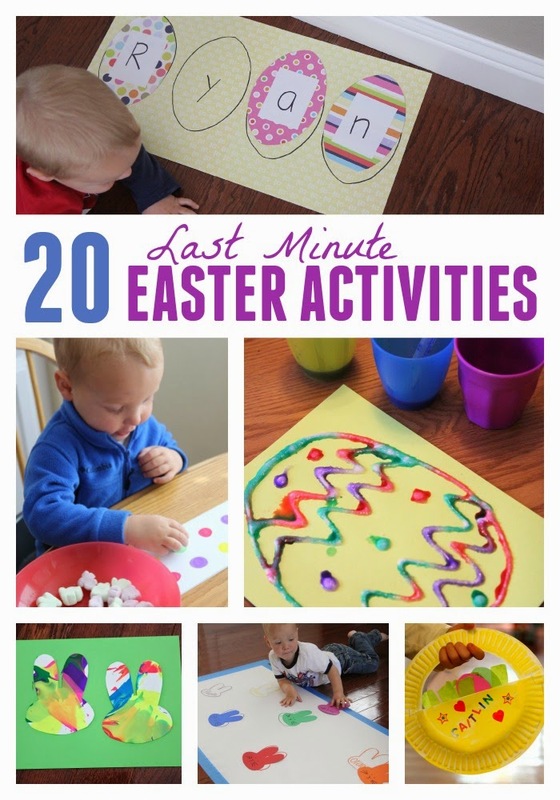 If you need other simple toddler Easter ideas here are a few other favorites.